Sony might have finally managed to hit the sweet spot and thus gaining ground against its closest competitor Bose, in the noise-cancelling headphones game. 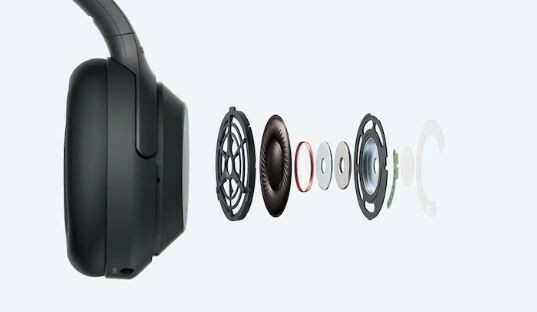 The WH-1000XM3, the third-generation model from the Sony stable, packs in more finesse from its predecessor the WH-1000MX2 making it the noise-cancelling headphone to have right now. WH-1000XM3s biggest lift up would be the shape of the headband which aligns better with your head and is 20 grams lighter, the padding has also received a mild overhaul. Also, the brand new headphones come with USB-C charging, which has a quick-charge feature that allows the user to make use of the headphones for 5 hours, with a mere 10-minutes charge. The 30-hour battery life, provided you don't play music at full blast, adds to the desirable quotient. The WH-1000XM3 priced at $350 is expected to compete with Bose QuietComfort 35 II, and it appears that it will be a good fight. The new three-microphone array system which bars background noise while deftly listing to the user's voice during calls also works quite smoothly. Here's the rundown on them, the WH-1000XM3 weighs 254 grams, once fully charged it will give you 30-hours of use with Bluetooth and noise-cancelling both turned on. As I mentioned earlier, it has USB-C charging and a redesigned headband. There is a new HD Noise Cancelling processor QN1 coupled with smart listening by Sense Engine. In the WH-1000XM3, you will be able to make conversations without taking them off thanks to the quick attention mode, and the customizable automatic power off feature is a nice thing to have, also if you want to wake up the voice assistant you can do it with a simple touch. The other big change is that Sony has moved from Micro-USB to USB-C charging. As part of the switch, there's a new quick-charge feature that gives you 5 hours of use from a 10-minute charge. That's pretty impressive -- and the 30 hours of battery life at moderate volume levels are also great. The headphones, which will be available in black and platinum silver accentuated with gold highlight will cost you $350, should you plan to buy one when it comes out for sale next month.